The emergence of tie-dye t-shirts, daffodil necklaces and a spike in ‘how do you put up a tent?’ Google searches can only mean that music festival season is upon us. 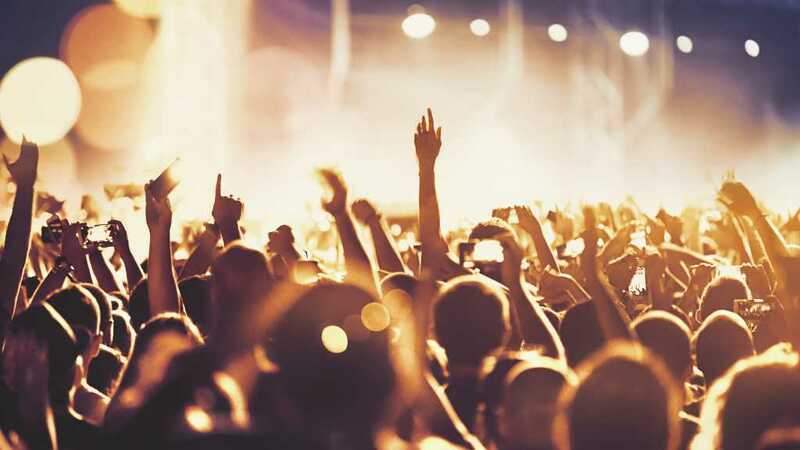 Hundreds of thousands of Brits will be travelling across the country this summer to experience the best music across all genres. While the experience may be exhilarating, the preparation and travel can often leave festival-goers feeling exhausted. Hiring a minibus is a calm, hassle-free way to complement a wild, hectic weekend. Travelling to a music festival can be a handful. On top of the food, drink and sleeping bags, you’ll likely have a tent to carry too. With all those items, being cramped in the back of a car, unable to move your legs, can be a nightmare for long journeys. Unlike normal cars, minibuses offer lots of space to store your belongings so that you can enjoy a comfortable and unrestricted journey. In addition, taking public transport with all that baggage will take a lot of tiresome effort, especially when taking multiple connections. When hiring a minibus, we will pick you up from your desired location and take you on one single undisturbed journey to your destination. This cuts out having to handle heavy bags on long distances, leaving you more energy to enjoy your festival. Travelling to a festival in a sizeable minibus means there’s plenty of space – not just for your possessions – but also your friends. Accomodating for a larger party means you can all enjoy the excitement together and don’t need to worry about finding each other after separate arrivals. Music festivals can be big. Trying to navigate your way to find your party can be tedious. Arriving in a minibus assures an efficient start to your festival experience. Hiring a minibus means you can enjoy travelling to your festival without the need to worry about congested roads and long distances. A friendly driver will know the best route to your destination and will drive you smoothly to the festival while you spend time with the rest of your party in the back. Plus, after an exhausting and messy weekend you will be relieved at being able to rest as your driver brings you back home. Taking a minibus to a music festival can be very cost-effective. By taking multiple cars, you will likely be needing to fill up multiple tanks of petrol. This can prove extremely costly in comparison to all riding in a single minibus. In addition, The size of the minibus means you can split the cost over a greater number of people. By taking trains or buses you will all need to pay separate static prices. This ultimately makes hiring a minibus more cost-effective than taking cars or public transport. Here at Wyatt Coaches, we provide efficient and professional transportation services for all occasions. Please get in touch with our friendly staff for more information.